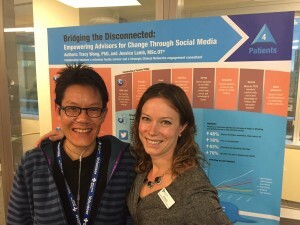 Patients 4 Change – Pts4Chg– is a grassroots initiative that connects patient/family advisors, advocates, and others together for a common goal: To create the best healthcare possible for all Albertans. Jessica Lamb and Tracy Wong are the founders and creators of Pts4Chg. They are just two members of the Pts4Chg community.